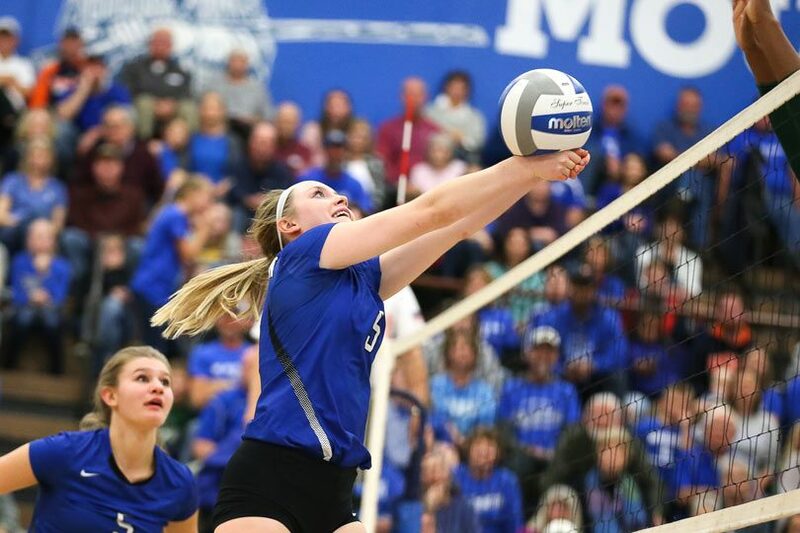 Madison County volleyball just needs to get one game under their belt in the Class 2A state quarterfinals. After holding on to beat Bruton 28-26 in a seesaw game one battle, Madison cruised, rolling 25-13 and 25-13 in game two and three to clinch the match 3-0 over Bruton. The victory vaults the Mountaineers into the state final four where they’ll host Poquoson at 6 p.m. Tuesday for the chance to play in the state title game. The Mountaineers’ got into a groove in part because they were dominant at the service line, with Emily Dodson leading the performance with seven aces. Abi Tanner and Jenkins each chipped in three aces while Lane Fox had two aces. Getting going at the service line gives the Mountaineers an entirely different dimension. 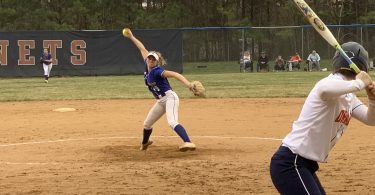 Up front, Allie Burbridge totaled nine kills and was particularly efficient, connecting on those nine kills on just 12 attempts as Bruton struggled to find an answer for her. Dodson also got going with seven kills while Fox, Jenkins and Tanner each had four kills to give the Madison offense some balance. Makenna Santinga triggered the offense with 30 assists. Katlyn Boone finished with eight digs while Logyn Estes had seven.The backline’s effort was huge for Madison as they withstood and prevailed in a series of long rallies with Bruton. 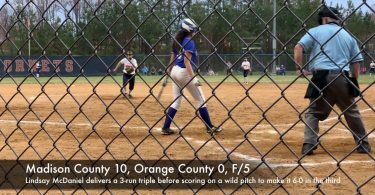 “We have a lot of scrappy players so it really goes in our favor on those long rallies,” Hardy said. The Mountaineers now get a chance to advance to the first state final in program history after earning a spot in the state tournament for the first time in program history.